There are 22 children studying in Gyan Bikash Lower Secondary school. They went picnic from school yesterday 27 2016 at Chobhar Kathmandu. 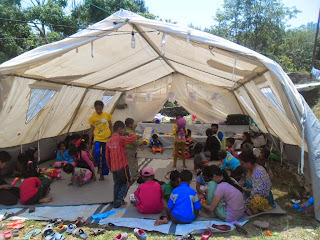 They were 60 children participated in picnic. They contributed Rs400 each. They passed 6 hours over there in picnic. They enjoy sigh seeing as well. They were happy.